Regal Air is very familiar with hauling hazardous materials of all types. Our pilots and dispatchers attend annual recurrent training to keep up to date with all applicable laws and marking requirement necessary to carry hazardous materials safely and legally on your charters. 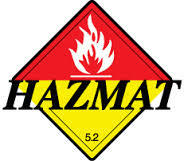 Please call ahead for information if you plan on carrying Haz-Mat on your flights. Regal Air has a special permit allowing us to serve the commercial industry in Alaska by carrying normally forbidden materials on board our aircraft. This can be extremely useful for our clientele operating and working in remote parts of Alaska where no other means of delivery are available, or practical. Our permit allows the carriage of Hazard Class 1 materials such as detonators, explosives, blasting caps, and many others.